On the edge of the Cotswolds, the rural Gloucester & Warwickshire Railway offers fine views on the ride between Broadway, Toddington, Winchcombe and Cheltenham Racecourse. A fine selection of steam engines and a few diesels power the trains on a line where much has been restored in 1950s style. Included afternoon ride before going on to the Honiley Court Hotel for dinner, bed & breakfast. 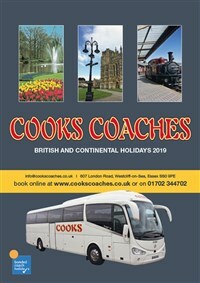 Drive to Kidderminster and transfer to a period carriage on the Severn Valley Railway. Your engine will puff its way to ‘time warp’ stations by the river Bewdley and Hampton Loade for example - and take you to Bridgnorth. Time to see an intriguing market town with a quayside, gardens and Georgian architecture on the Severn and a ‘High Town’ accessed by a cliff lift. Drive home later in the day. Cotswold scenery and two fantastic railways. The included journeys are from Toddington or Cheltenham Racecourse on the first day (GWR), with the recently opened extension to Broadway, and from Kidderminster to Bridgnorth on the next (SVR). Both lines have been painstakingly restored. 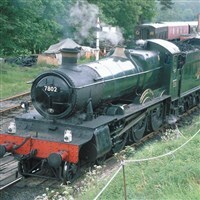 They are among the longest of their kind, the GWR offering a round trip of about 30 miles, while the single journey on the SVR is about 16 miles. HONILEY COURT HOTEL www.honileycourt-hotel.co.uk . The Hotel stands in a peaceful location in rural Warwickshire. Dating back to the 16th century, the building was originally a farmhouse, later transformed into the Boot Inn, which is now part of the hotel, maintaining the character. The bedrooms are well equipped and comfortably furnished: all are en suite and have TV, hairdryer and hospitality tray. Free WiFi. No lift.